The concept of the “episode” dates back to the 17th century, when moveable type enabled printers to save money by splitting large works into more affordable chunks of text. 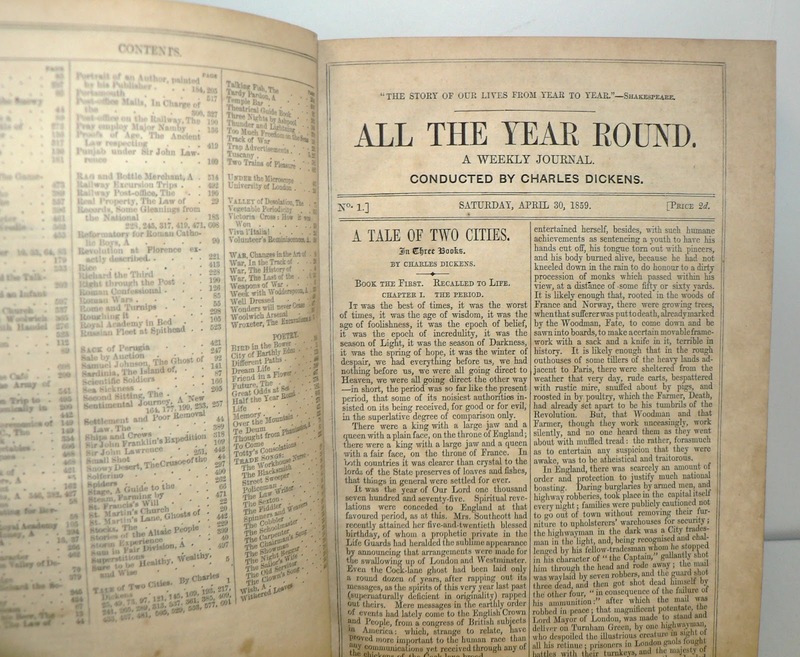 Such classic fiction of the Victorian Era such as Leo Tolstoy’s Anna Karenina, Sir Arthur Conan Doyle’s The Adventures of Sherlock Holmes, and Charles Dickens’s A Tale of Two Cities were originally printed as serialized episodes in weekly journals, designed to increase circulation and keep readers coming back for more. Television adopted the episodic structure and eventually surpassed magazines and newspapers as the leading content delivery platform in the United States. The prime-time television business model consists of three pillars: episodic content, predictable schedules, and advertising. Episodes provide weekly installments of content at specific times for audiences to schedule around (e.g., “Must-See TV”). Ratings indicate the estimated number of viewers and share of audience for each episode. Networks use these ratings to set advertising prices and sell commercial airtime. An advertiser wishing to reach a specific market can pay for exposure on a show that reliably delivers a targeted demographic. This model depends on audiences accepting a certain amount of advertising per episode of television. This arrangement held steady in the early days of broadcast television when channels were received freely over the air, episodes were broadcast at specific times, and viewers “paid” for that access by watching commercials. Cable brought pay channels with no advertising, but this represented a clear tradeoff that didn’t violate the ‘free’ value proposition. But the DVR began unraveling the prime-time business model. Not only did time shifting disrupt ratings (which networks depend upon to set ad prices), but viewers could fast-forward through advertisements as well. Suddenly, two pillars of the television business model—rigid schedules and commercial breaks—cracked. When Netflix entered the market in 1999, its competition was movie rental giant Blockbuster, not television producers. Producers were happy to license their content to the mail order DVD rental company, and vast libraries of television content were made available to this new distribution channel. Now, instead of paying as much as $50 to buy a television season on DVD (or $4 per disc at the video rental store), Netflix subscribers could rent and watch television episodes as fast as the company’s sophisticated distribution network could ship them. Streaming video, a service Netflix introduced in 2008, only increased the pace at which customers were willing to consume content. While many companies proffer streaming services, Netflix’s installed customer base of more than 20 million households gave it the mass to create new markets. Much like the DVR and DVD before it, Netflix fashioned an alternative television experience that shifted consumer viewing habits. No set schedules and no interruptions, all you can consume at a flat price. And by the time the television industry began to react, these new habits had taken root. Prime-time ratings are falling all across the television landscape, leading to billions of lost dollars for television content producers. Panicked executives have proclaimed that a failure to capture “nonlinear viewing” is the cause of these declines, leading Nielsen to belatedly agree to include any online streaming and DVR consumption in the three days following an original broadcast as part of its total ratings. But television’s challenge is not a counting problem. It’s a habit problem. Nonlinear viewers are not consuming traditional ads. Streamed content on Netflix arrives stripped of advertising, while other streaming services like Hulu trade a single message for a chunk of content. Shows might be watched on televisions, laptops, tablets, even smart phones, or any combination thereof. Nonlinear viewers have completely reversed the flow from passive viewership to dynamic control. Many avoid shows currently being broadcast, waiting instead for the entire season to be made available on DVD or via streaming. The show can then be consumed at whatever pace the viewer wants, from binging on a blood-soaked marathon of The Walking Dead, to languidly savoring each episode of Downton Abbey. House of Cards represents the sum of media habit changes over the past decade. While reportedly the most watched show on Netflix, the company has stated it has “no motivation” to disclose ratings for its content because it is not funded by advertising. The show is also an indication that the third pillar of television, episodic content, may soon be falling as well. House of Cards doesn’t even have episodes; it has “chapters,” and they are paced unlike anything on traditional television. There are no awkward starts or stops built in to the narrative to accommodate commercial breaks, and there is no set length of time for each chapter to run. It is not impossible to imagine a future where “television shows” run for hours on end, leaving it up to the viewer to decide when to take a break. The video game industry has already established a precedence for this type of consumption; big-budget, narrative-focused games can provide as much as 20 to 30 hours of continuous gameplay and story content in a single title. The disruptions in the television market are rippling throughout the industry. Though DVR penetration is still below 50%, and cable subscriptions have held relatively steady, a growing market is emerging for viewers divorced completely from the traditional prime time model. Nielsen’s new “nonlinear” measures will boost ratings, allowing networks to raise more advertising revenue, but that will be just a finger in a dam with many leaks. The disruptions will continue and accelerate, and the content providers that cling to the old business models will be left behind as consumption habits continue to change. Netflix’s $100 million investment to produce House of Cards and its non-traditional release garnered a lot of headline-grabbing press, but the company does not view the project as a bet-the-farm gamble. It was but a small ante for a larger game: the quest to own the next generation of television viewing habits. This entry was posted on Tuesday, March 19th, 2013 at 12:00 pm	and is filed under Current Events, Media & Entertainment, Pop Culture. You can follow any responses to this entry through the RSS 2.0 feed. Both comments and pings are currently closed.